There’s nothing like giving in to the juice dripping down your chin after biting into the juiciest fruit of the summer. Forget about manners. Forget about napkins. Just wipe it on your sleeve, and take another big bite. It’s like life, in a way—essy and most delicious when it’s at its peak of ripeness. 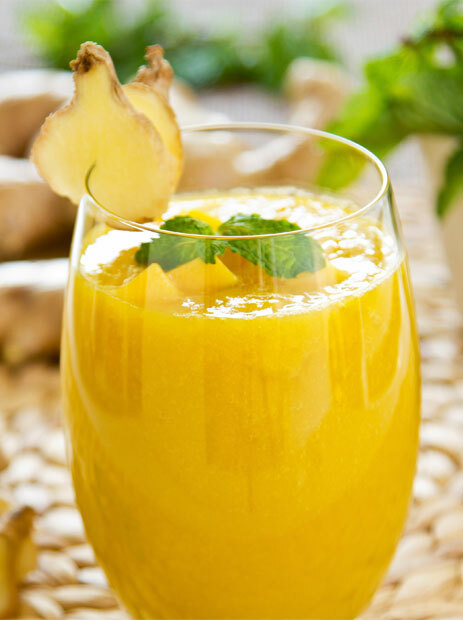 This cold, mango- peach white- sangria recipe has plenty of sweet, tasty stuff to go around. Peach schnapps, usually recommend a glug or two. Don’t overthink it. 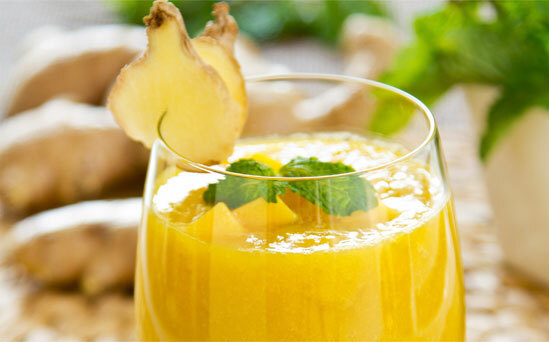 Get a blender. Stick in the fresh fruit, add some sugar, and add a few cups of ice. Give it a quick blend. 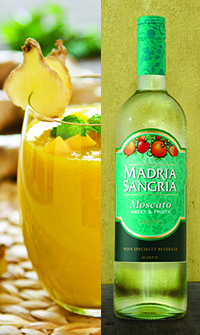 Dump in a bottle of Madria Sangria Moscato a little at a time until it has the perfect slushy feeling. Pour into glasses and add a straw. Napkins not included.